Catch an event at Amsterdam ArenA and enjoy other activities in Amsterdam such as cycling. Experience the acclaimed theatre scene and fascinating museums in this vibrant area. Amsterdam City Centre is a metropolitan neighbourhood that’s popular for its cafes. In addition to its architecture, the neighbourhood has many charming qualities. You can satisfy your cultural palate with museums and monuments. Taking a boat trip is one of the best ways to discover the historic monuments and elegant architecture along the canals of the city dubbed “The Venice of the North”. Museum Quarter is a welcoming neighbourhood that’s popular for its cafes and restaurants. The neighbourhood has many charming qualities, with its architecture among the more noteworthy. You can satisfy your cultural palate with museums and theatre scene. Jordaan is a welcoming, walkable neighbourhood. Part of the neighbourhood’s charm is its architecture. Amsterdam West is a welcoming, romantic neighbourhood with convenient options for cafes. In addition to its architecture, the neighbourhood has many charming qualities. Broaden your horizons with some local museums. 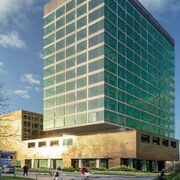 Amsterdam South is a welcoming, romantic neighbourhood with convenient options for restaurants. Part of the neighbourhood’s charm is its architecture. You can satisfy your cultural palate with museums and shopping. 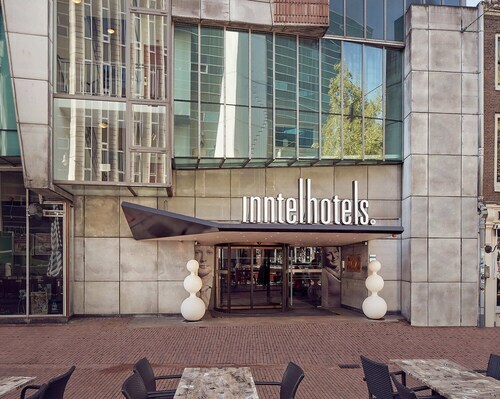 Lovely hotel in a beautiful area of Amsterdam just by the Van Gogh Museum, rooms lovely and clean with a wonderful Jacuzzi bath, staff really welcoming and helpful. Great apartment spacious and comfortable with all amenities Great transport links bus or tram to anywhere in Amsterdam very helpful staff to go that extra step to make sure your stay is great Great supermarkets five minutes walk away. 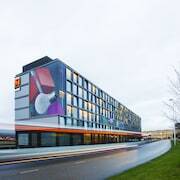 A 10 min walk from railway station and easy to find for first time visitors to Amsterdam The hotel is very quiet and the staff were extremely courteous and obliging. 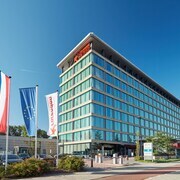 A good hotel with everything you need for a nice city break in Amsterdam; with only a short walk from the train station it was easy to find and in a perfect location for exploring this beautiful city!! 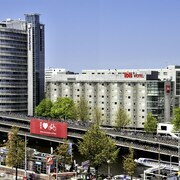 Location really is fab for this hotel especially if you're coming on the train from the airport as it's almost next door to the station and a 5 minute walk from the centre of Amsterdam, 10min to red light district where there are plenty of bars and eateries, 10mins to Dam square , 30 mins to musuem quarter which we easily walked and caught the tram back to centraal station. Vertical transportation is a limitation. All restaurants there are very good. Located in The Netherlands, Amsterdam, offers its visitors a look into a unique lifestyle filled with breathtaking architecture, winding waterways, and a rich culture. Whether you wish to spend your afternoons exploring the vast array of museums located throughout the city or jumping into a car hire and delving into the beautiful countryside, a holiday in Amsterdam is an adventure you’ll never forget. And thanks to the travel guides and tips offered by Expedia.co.in, booking the best accommodation for your budget and needs has never been easier. Are you enthralled with history? Search for Amsterdam hotels near the Rijksmuseum or the Anne Frank House to ensure you’re in the perfect spot to start exploring. 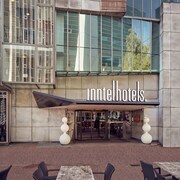 Regardless of your budget, Expedia.co.in provides the latest deals and specials for hotels in Amsterdam. Whether you wish to stay in a luxury hotel outfitted with the latest technologies or relax in a quiet inn that forgoes Wi-Fi, Expedia.co.in makes finding where to stay a pleasant—and cheap—experience. The public transportation in Amsterdam is among the best in the world. Whether you wish to hop on a bus or rent a bicycle—the most popular choice among locals and tourists—you’ll be able to get around the city easily. Wander along the Prinsengracht Canal, grab a pint at the In de Wildeman, or see the city in a new light when you book a Segway® tour. 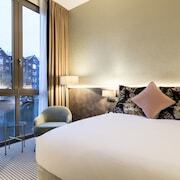 Book Your Amsterdam Hotel Today! Expedia.co.in specialises in locating and negotiating the lowest nightly rates at the top hotels within the region. 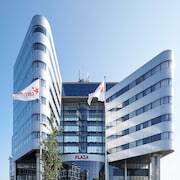 Regardless of your budget, you can locate the perfect Amsterdam accommodation, whether you want to overlook one of the canals or opt for convenience by staying at an Amsterdam airport hotel. Experience what millions have already enjoyed, and turn to Expedia.co.in to book your Amsterdam holiday today. There are only eight windmills left in greater Amsterdam; a tour to Volendam and Marken will take you on a tour of two Dutch fishing villages, and onward to see the traditional Dutch windmills and polders. Sampling two famous cheeses, Gouda and Edam may put you in the mood for putting on some clogs, or klompen as they are known in Dutch. When you think of Amsterdam, fashion might not immediately spring to mind, especially if you have just klomped around in a pair of clogs. However, the city is quickly establishing itself as an alternative to the established catwalks of Paris and Milan. Blending practical tailoring and offbeat accessories, it has an ageless appeal and may just encourage you to dive into the nearest boutique for an asymmetrical bag or tilted hat. 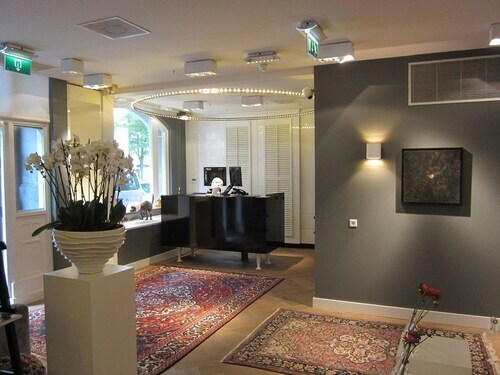 Try Van Baerlestraat for boutiques, P.C. Hooftstraat for high-end labels, and the Waterlooplein flea market for bargains. Something that may already have your attention is Amsterdam's profusion of coffee shops. In another display of the city's open-mindedness, (and despite recent changes in smoking laws) cannabis is likely to be on the menu. If fruit teas and aromatic smoke aren't for you, the cafes are still worth visiting for their distinctive atmosphere and the convivial conversation. Head to the botanical gardens to find out what a 400-year-old potted plant looks like, and take a restful stroll in the subtropical house and medicinal herb garden. The tragic story of Anne Frank is retold in a museum dedicated to her life and linked to the house in which she and her family hid from Nazi persecution. It was here that Anne wrote her diary, which was eventually published and has become one of the world's most widely read books. Other notable museums are the Rijksmuseum, which features the masterpieces of the Dutch Golden Age, and the Van Gogh Museum, which has the largest collection of his paintings in the world. In contrast to the colorful red light district, a candlelight cruise along the canals will provide a more reserved evening of entertainment. Illuminated at night, the 17th century bridges will have you reaching for your camera, and the Reguliersgracht is perhaps the most photographed stretch of water in Amsterdam. Hop on one of the many trams to Leidseplein to enjoy snazzy cocktail lounges and cool clubs, and join the in-crowd to dance the night away. Explore Amsterdam with Expedia's Travel Guides to find the best flights, cars, holiday packages and tips for your trip!